Does your client retention strategy boldly leverage the value of stakeholder diversity? Or alternatively, is your client retention strategy boldly all about you, as your clients’ rock star? After all is said and done, bold client retention is not a solo act. Most importantly, client retention is not accomplished by individuals or teams who work in departmental silos or virtual vacuums. Think about it. First, ponder the critical role you, yourself, play in client retention. Then, if you are part of a major account team, are you an order-taker? On the other hand, are you an innovator, with a strong voice at the business table? Also, consider how you fit into a bold and proactive client retention strategy. Because, even if this question is not part of your job description, challenge yourself with this concept, each day. 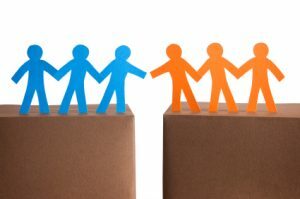 A bold client retention strategy connects stakeholder diversity throughout an organization or association. Far too often, the STEM professionals and left brain thinkers attending my speaking programs do not connect their professional dots far enough. Initially, they are satisfied that they know all the members of their own department, in terms of their job titles. Then, based on those job titles, these professionals infer what they “think” each colleague “does,” functionally. However, then they have a professional epiphany. As Professionals of Worth, stakeholder contributions to an organization’s human capital strategy extend beyond the confines of a single department. Or, the perspective offered by specific professional disciplines, traditionally connected to one another. Because a bold client retention strategy results from stakeholder contributions throughout an organization and association. Including the stakeholders who, currently, are nameless and faceless to you and outside the boundaries of your professional norm. Leveraging stakeholder diversity reflects more than a bold client retention strategy. Far too often, the workplace is characterized by stakeholders working full-time, at half the capacity of what they are capable of creating. As a result, everyone is short-changed, including clients. When internal stakeholders are busy with busy-ness, the goal is to shine in their jobs. Yet, culturally, they can shine far more brightly. Simply by extending their reach one millimeter outside of what is their current professional norm. As a result, they identify the broad and bold network of stakeholders who receive their input, throughput and output. No more nameless, faceless titles in organizational directories. Otherwise, pre-sale promises and specifications continue to be lost in post-sale transition. It doesn’t have to be that way, anymore. Learn how to stretch your value across the organization. Get your copy of Do You Mean Business? I offer 16 exercises to get each one of you started, today. Then, take the next steps. Learn how to leverage internal stakeholder diversity. Create a bold client retention strategy focused on business growth.